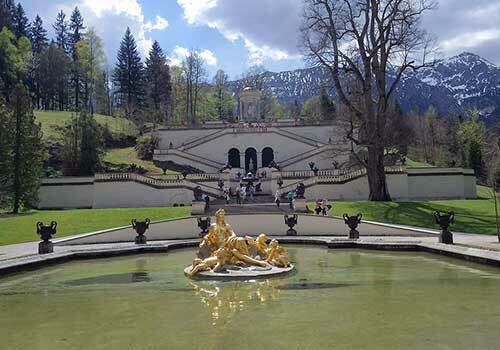 Oberammergau is the name of a town in Bavaria, not the play itself. In 1633 the bubonic plague struck the town resulting in upwards of twenty deaths a day. The townspeople made a vow to God that if he spared their town, they would perform a play on the life and death of Jesus every ten years from then to perpetuity. Within a few months, the plague deaths were reduced to one a month. Their vow was fulfilled the following year with the first performance of the play. The play is now performed once a decade in a year ending in “0”, so 2020 will be the next performance, 2030 the one after, and so on. There have been only two decades in which the play has not been performed: 1770 at the behest of the Roman Catholic Church, and in 1940 due to World War II. It was delayed once in 1920 to 1922 due to the aftermath of the first World War. There is not one single performance: the play is offered over the five-month period between May and October. Nearly half a million people attend over a season. The play is quite complex involving several thousand actors, stagehands, musicians, etc., and involves not only the play itself but related choral and musical presentations, and tableaux. Be prepared for a long performance of five hours or more. Don’t worry, there are breaks! Admission was first charged in 1790. Tickets currently sell in the range of 30 to 180 euro (2019 for 2020). The first performances of the play were at the local church, in its graveyard, where the plague victims are buried. The venue of the play has changed over the years from purpose-built temporary stages in the graveyard to the permanent theatre of today which holds upwards of forty-five hundred or more with comfortable seating, and modern amenities. Though the seating is covered, the theater stage is still open to the out-of-doors, so the audience not only has a view of the stage but also the countryside, the sky and the mountains beyond as a dramatic back drop. 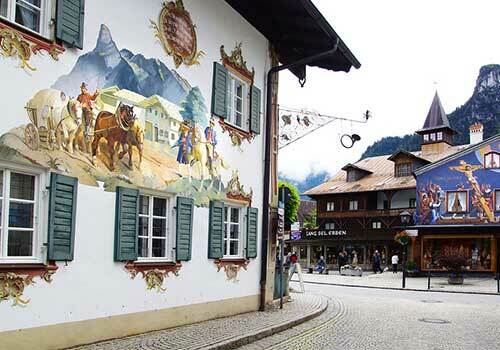 Oberammergau is a colorful and quaint town where your eyes will enjoy a feast of fresco-decorated houses and buildings painted with scenes of fairy tales and more. 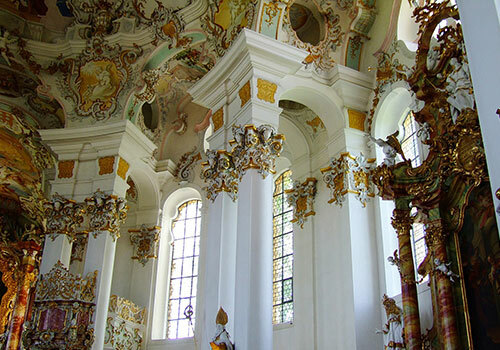 It is also noted for its handcrafts, especially wood carving. 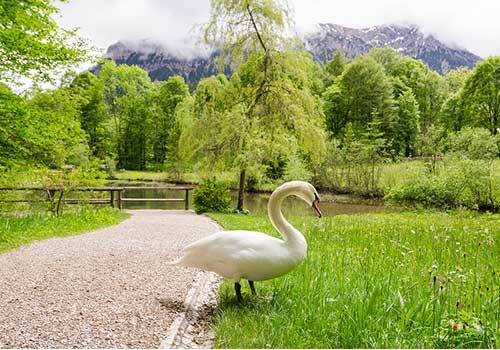 Visiting here for the play, one also has other attractions nearby including the stunning Linderhof castle and park grounds, the Neuschwanstein castle, the Ettal Monastery, and the Weiskirche, a famous Rocco church and UNESCO World Heritage site. Ask your travel professional to design a custom itinerary or take advantage of the numerous guided vacations that include the play. Insight Vacations, Collette, Trafalgar are a few of the many travel vendors that offer this choice. 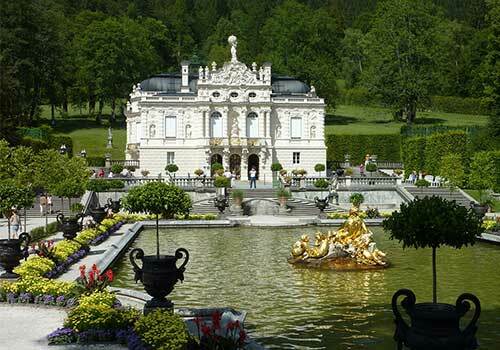 Special itinerary river cruises are available as well, such as with Scenic® and Viking. If this play is on your bucket list you are in luck, there are so many options available to discuss with your travel professional! But if you intend to take in the 2020 Passion Play, don’t delay as this is so special it sells out quickly. 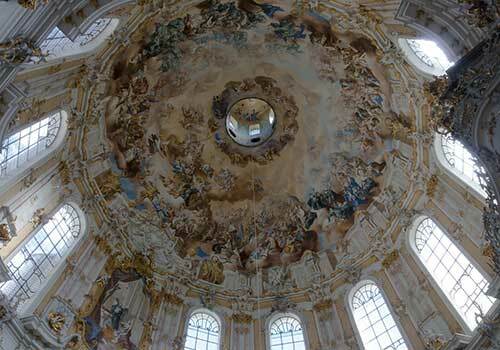 Feature image of rooftops of Oberammergau courtesy of Bigstock.